contact/visit in person on our behalf. About the Film: First occupied by the Soviets in 1939, then by the Nazis, and then by the Soviets again, Estonia lived through decades of terror. By the end of World War II, more than one-quarter of the population had been deported to Siberia, been executed, or had fled the country. Music sustained the Estonian people during those years, helping to maintain the Estonian language and sense of culture. It was such a crucial part of their struggle for freedom that their successful bid to re-establish their independence is known as the Singing Revolution. Come hear the incredible story of the Singing Revolution! See how vocal music quite literally changed the world. An inspiring story for all lovers of music and the arts. 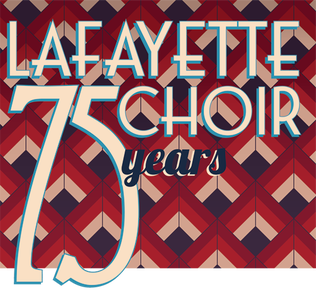 Support Lafayette Choir in this one-of-a-kind event.